The Los Angeles Sparks Adopt-A-Team Program is a local initiative to help teams, coaches and parents motivate youth, provide professional basketball role models and create unforgettable team bonding experiences. 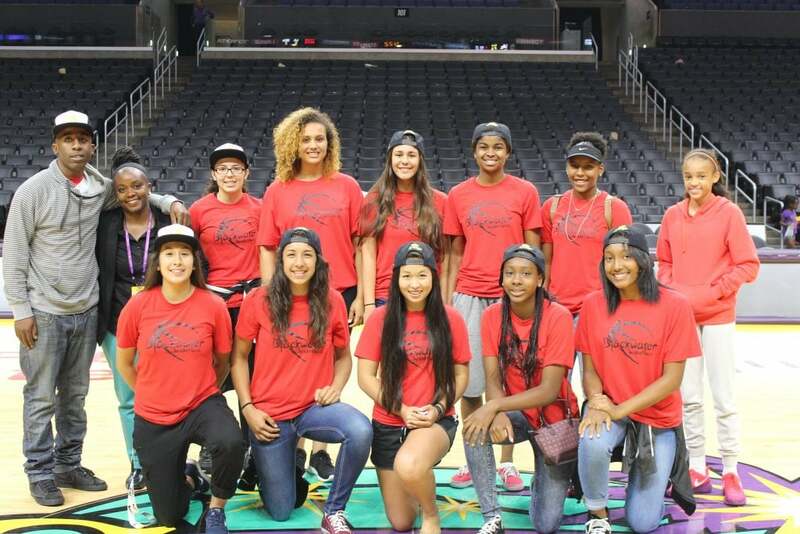 The Adopt-A-Team program promotes well-being, hard work and fun through WNBA Champion Los Angeles Sparks basketball games and unique fan experiences. 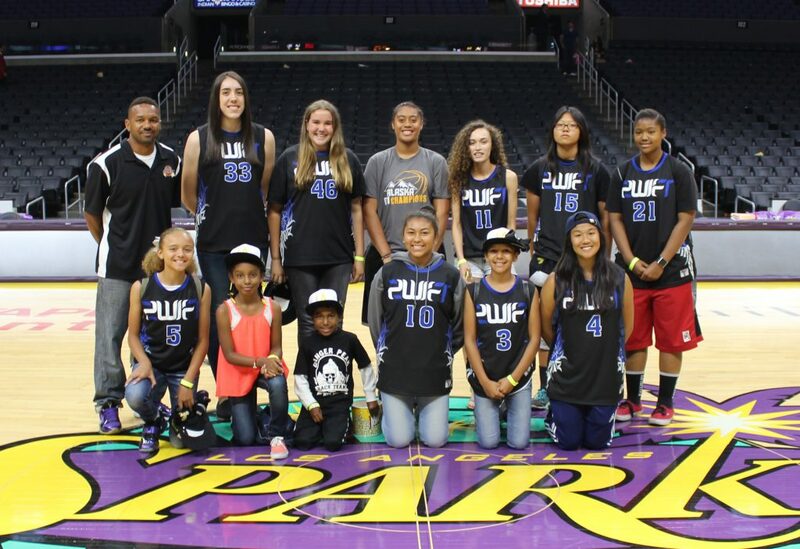 You can help support local youth basketball by adopting a team for the 2019 LA Sparks season! The program provides teams with Sparks’ season tickets to help reward teamwork and sportsmanship. 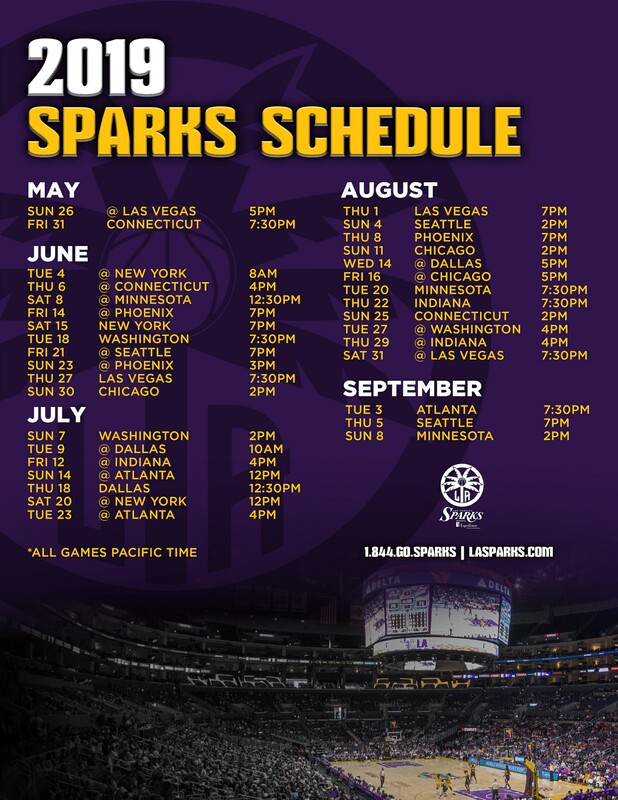 The teams also have opportunities for special fan experiences during Sparks games, which helps teams stay connected and involved throughout the summer. The Sparks season runs from May-September, 2019. Our long-term goal is for every youth basketball team to be adopted, and to be able to experience the excitement of Championship caliber women’s professional basketball. Ten 2019 Sparks Season Tickets to share throughout the season. Spark your passion AND GET ADOPTED! There are two ways to get adopted. One can be as easy as showing companies or boosters this brochure. Get your coaches, parents, and players together and brainstorm potential adopters! The other way is to go to LASparks.com and fill out our online adoption application. We have adopters waiting for teams to present their reasons why they should be adopted. Don’t miss out on what can be the experience of a lifetime! Get your whole team behind your adoption effort. We encourage coaches, parents, and teams to work your network of friends, family, co-workers, and local businesses to locate Adoption Sponsors. Make a difference in the life of a child.